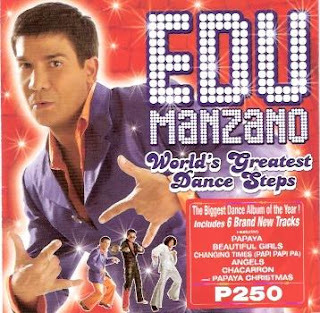 I LOVE Edu Manzano. There I said it. "Love" not in a thumpity-thump heart-beat kind of way, but "love" as in I really admire his talents. 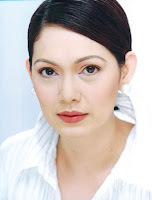 He was an excellent actor, even better than most Pinoys' favorite, Boyet de Leon, who I think tends to be OA. Edu's terrific sense of humor, intelligence, and articulacy in both the English and Filipino languages (not to mention the Ilonggo dialect) make him a natural host whether it be for a game show, a talk show, or a variety show. And apparently, he's even a good dancer! with his Papaya Dance capturing even the imagination of Good Morning America anchors in the U.S. You name it, he has the chops. Edu is one of best entertainers in the country and gives some amount of class to an industry peppered with the likes of Wowowillie. But will he make a good vice president for the Philippines? Edu was vice mayor of Makati in 1998 and almost didn't get to assume the position because his opponents claimed he was not a Filipino citizen. For those who don't know, Edu was born in San Francisco in Sept. 1955. But the Comelec ruled on Sept. 1998, that he was indeed Filipino by virtue of having registered as a Filipino voter. The case was elevated to the Supreme Court but the justices likewise ruled in Edu's favor. His term of office was largely unremarkable I don't remember any earthshaking accomplishments. But I suppose he was largely sidelined from doing much more than he could bec. it was really Jojo Binay who was running the show, being the mayor. Edu took a shot at the mayoralty position in 2001, fighting the massive machinery and experience of Binay and lost. He ran on an anti-corruption platform backed by the Forbes Park crowd, but it's been alleged that he knew he was not going to emerge victorious in that race. But as everyone joked then, at least he ended up fiscally fit. Hmmph! Bad talaga kayo. After losing that election, Edu went back to showbusiness until he was appointed as the very first chairman of the Optical Media Board in 2004, after the Optical Media Act was signed into law in 2003. The OMB, whose forerunner was the Videogram Regulatory Board, is supposed to spearhead the fight against film piracy. I don't know about you guys, but it seems to me there are more pirated discs flooding the market even before this particular law was enacted. Sure there have been few high-profile raids vs small retailers of pirated discs w/c we see reported intermittently on TV and the newspapers, but the problem continues. And it's been what? five years since the OMB has been operating? Tsk, tsk. Again there are many rumors floating around why film piracy continues and why Edu has largely been unsuccessful in eliminating it, some of w/c are not fit to publish here. Interestingly enough, Edu blames the rampant film piracy on Muslim extremists in the South. Then between hosting jobs and his OMB stint, he founded the Ako Mismo organization w/c was eyed w/ much suspicion, for not immediately identifying the proponents behind it and what the movement was all about. The movement was foisted on the public via TV ad w/c featured a number of celebrities and thought to be the vehicle to push the presidential candidacy of businessman Manny Pangilinan. Edu finally went on ANC explaining that the organization was advocating for change by encouraging Filipinos to stand up for themselves and not depend on anyone else but themselves to institute reforms. While he has said that the movement is non-political, w/ his run for VP, I doubt if it will remain as such. In fact, as I wrote then, I thought the Ako Mismo campaign seemed suspiciously like a pro-administration movement bec. after all, Edu is a GMA appointee. Well, well, well...I told you so. The many loves of Edu: (clockwise from top left) Vilma Santos, Maricel Soriano, Rina Samson and Pinky Webb. Photos from PEP, Photobucket, and Facebook. To answer my own question, while I respect Edu and his talents, he has yet to prove himself in the area of public service. It's pretty obvious why he was chosen by the ruling PaLaKa party to be Sec. Gilbert Teodoro's running mate in the 2010 elections. They are running scared and are desperate to shore up Gibo's popularity w/c has been lingering in the single-digit percentages. And after turning on their asses for weeks who could do the job, they finally "force out Edu, the Papaya King, to cure the party's political constipation!" as a Facebook friend puts it. Haha. Does the PaLaKa stand a better chance now that it has Edu as its VP? No. 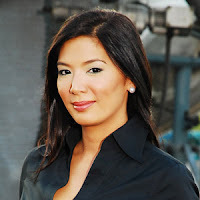 I think Pinoy voters will decidedly remain anti-Gloria and will always associate the Gibo-Edu tandem w/ her. Both will still represent the corrupt practices that this administration continues to engage in and the blatant dishonesty that has marked her presidency. The party will not be able detach their team from what she represents, yes, even if she steps down from its chairmanship. That's how much damage the presidentita has done to the country, to the bureaucracy, and to her party. I conclude w/ a quote from Edu himself from this noon's press briefing: (To Gibo, after the latter introduces Edu's background and advocacies in rather glowing terms): "Not even my mother has spoken highly of me!" Ayus.